Thermocouples are also widely used as sensors for temperature control systems. On the control instrument, set the required temperature, and the sensor display will be compared with the temperature generated at the set point. In this simple system, when the temperature reaches the set point, it is turned off and the power is turned on again when the temperature drops. This system is called open close control, because it is not open or shut. The temperature of the melt is very important, and the temperature of the cylinder used is only instructive. The melt temperature can be measured at the nozzle or measured by the air injection method. The temperature setting of the cylinder depends on the melt temperature, screw speed, backpressure, injection quantity and injection cycle. If you do not have experience in processing a particular level of plastics, please start with a low setting. In order to facilitate control, the ejection cylinder is divided into zones, but not all of them are set at the same temperature. If the operation is long or operated at high temperatures, set the temperature in the first zone to a lower value, which will prevent premature melting and splitting of the plastic. Before starting the injection, ensure that the hydraulic oil, hopper seal, mold and ejection cylinder are at the right temperature. This is the pressure that causes plastic flow and can be measured with sensors on the nozzle or hydraulic line. It has no fixed value, and the more difficult the mold filling, injection pressure also increases, injection line pressure and injection pressure is directly related. During the filling phase of the injection cycle, high injection pressure may be required to maintain the injection rate above the required level. After filling, the mold no longer needs high pressure. However, in the injection molding of some semi-crystalline thermoplastic (such as PA and POM), due to the sudden change of pressure, the structure will deteriorate, so sometimes the use of secondary pressure is not necessary. In order to resist injection pressure, the clamping pressure must be used. Instead of automatically selecting the large values available, the projection area should be considered to calculate a suitable value. The projection area of injection molded parts is a large area seen from the application direction of clamping force. For most injection molding cases, it is about 2 tons per square inch, or 31 megabytes per square meter. However, this is only a low value and should be considered as a very rough empirical value, because once the injection part has any depth, then the side wall must be considered. This is the pressure that must be generated and exceeded before the screw retreats. Although the high back pressure is beneficial to the uniform dispersion of pigment and the melting of plastics, it also prolongs the return time of the middle screw, reduces the length of the fiber contained in the filling plastics and increases the stress of the injection molding machine; therefore, the lower the back pressure, the better it can not exceed under any circumstances. Injection molding machine injection pressure of 20%. The pressure of the nozzle is the pressure inside the nozzle. It is about the pressure of plastic flow. It has no fixed value, but increases with the difficulty of mold filling. There is a direct relationship between nozzle pressure, line pressure and injection pressure. On the spiral injection molding machine, the nozzle pressure is about ten percent less than that of the injection pressure. In piston type injection molding machine, the pressure loss can reach about ten percent. In piston type injection molding machine, the pressure loss can reach fifty percent. This refers to the filling speed of the die when the screw is used as punch. In injection molding of thin-walled products, it is necessary to adopt high injection rate, so as to fully fill the mold without solidification of the melt and produce a smooth surface. A series of programmed firing rates are used to avoid defects such as ejection or trapped gas. Injection can be carried out under open loop or closed loop control system. Whatever injection speed is used, the value of the injection speed and the injection time must be recorded on the recording table. The injection time refers to the time required for the mold to reach the predetermined initial injection pressure, which is part of the screw propulsion time. JasonMould offers tools from small and precise mobile phone parts to as big as automotive parts. Our tools are mainly exported to U.S.A., Europe, Japan and UK. 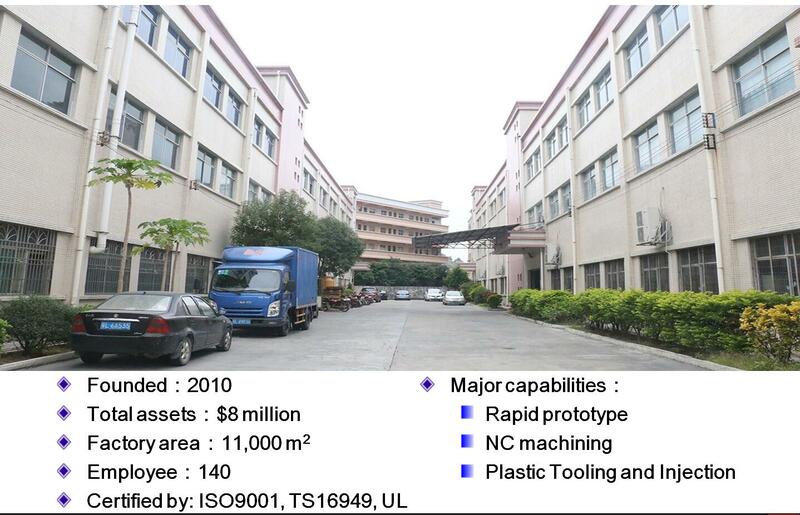 JasonMould’s diversification strategy and full service has won compliment from customers all over the world.